For students in high school or college, probably the best part of the whole school experience is graduating. 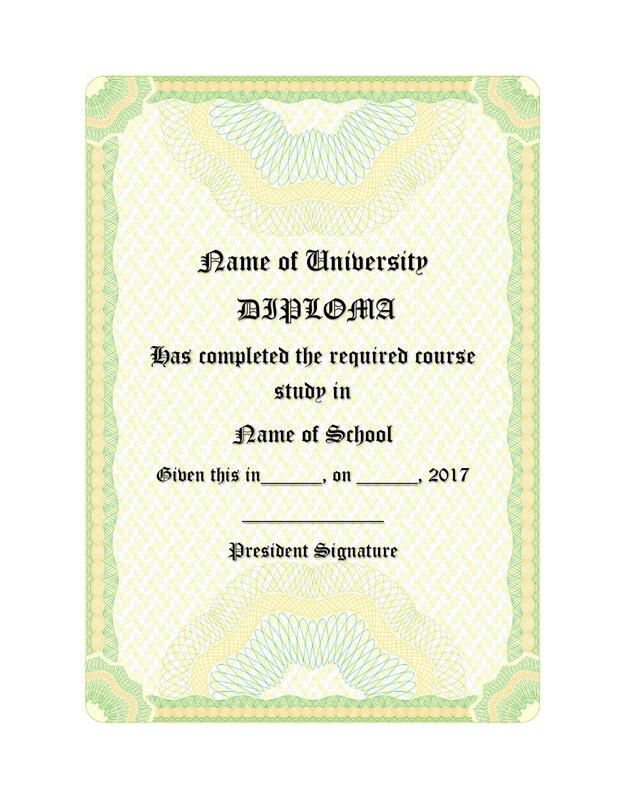 At the end of the course, the school or educational institution would have already made their own diploma template to give to the students who are to graduate. 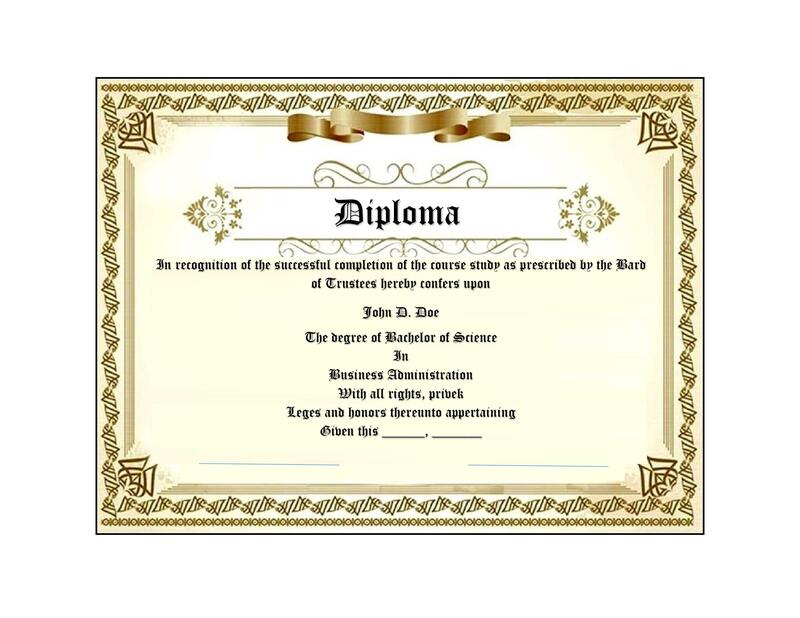 A diploma which is given to students can also be referred to as a “testamur,” which is Latin for “certify” or “we testify,” as the document is just that – a certification that the recipient has finished or accomplished a whole course of study successfully. 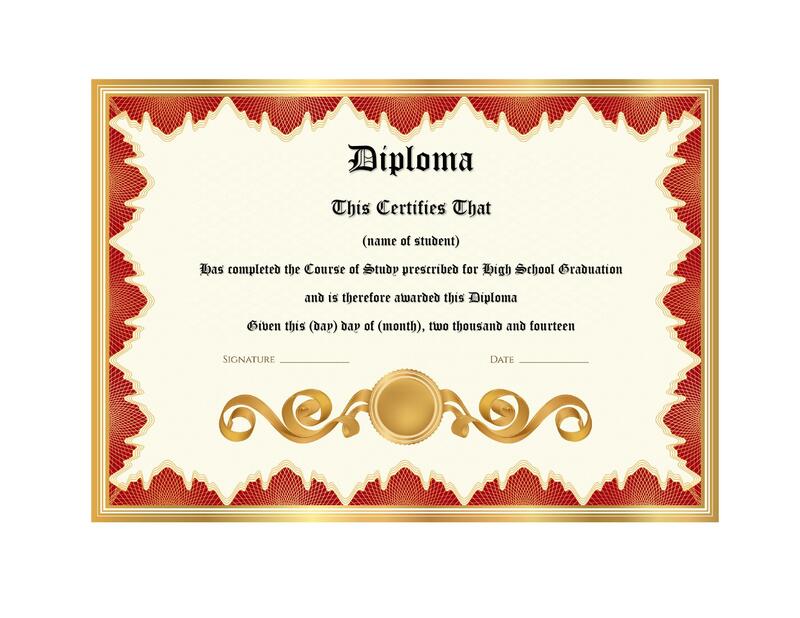 Other words for diploma can also be a graduation certificate, a degree certificate or a parchment. 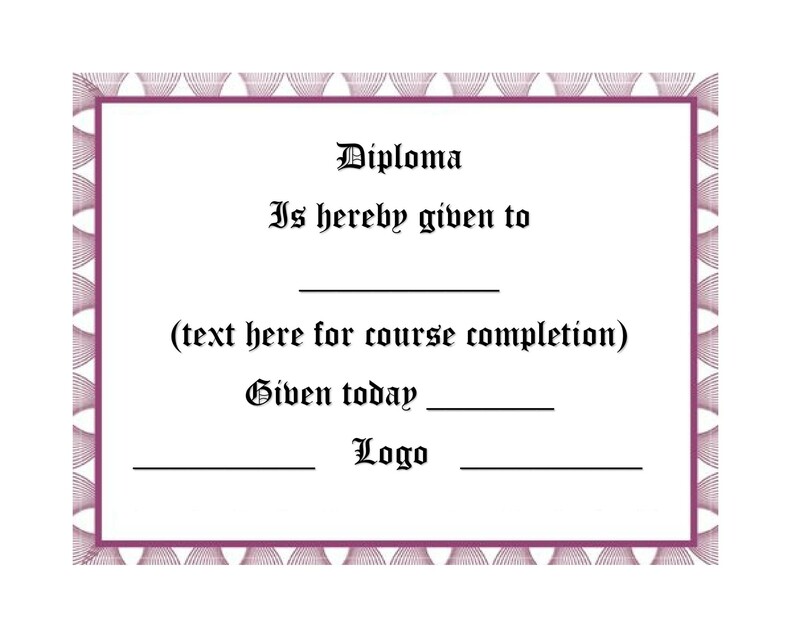 For educational institutions, it would be very important to have a good diploma template on hand, once which has been thought of carefully and designed well so that every time a graduation ceremony happens, all that would need to be done is change the important data and print out the template. In this article, you will learn everything there is to know about diplomas as well as some useful tips in creating your own. 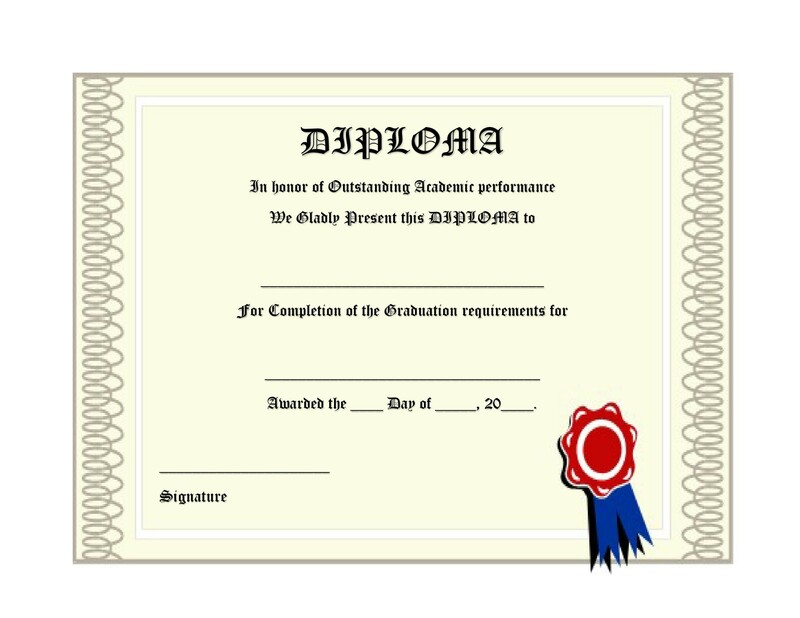 First off, let’s take a look at the different types of diplomas which can be made, which would serve different purposes. 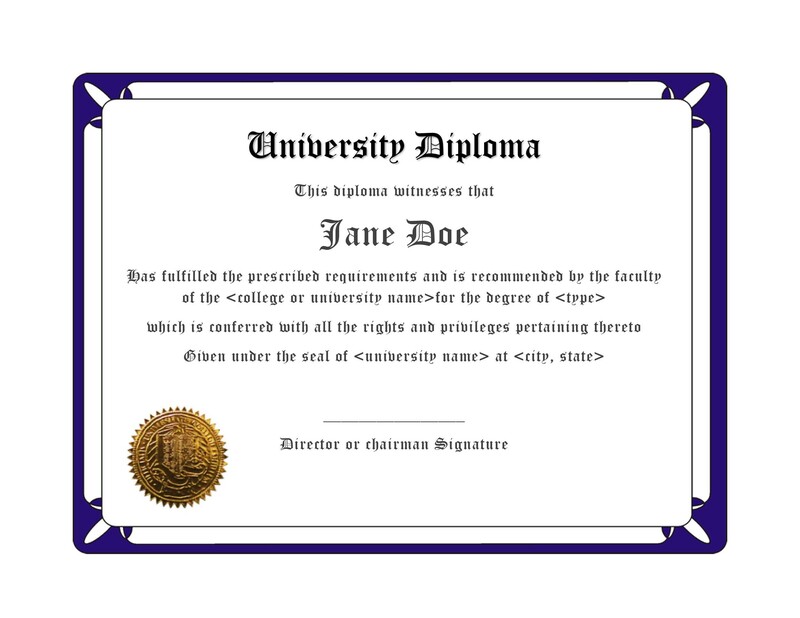 It is useful to know these different types of diplomas so that when you plan to make your own, you know whether you’d need a format for a high school diploma template, a college diploma template or other such templates. 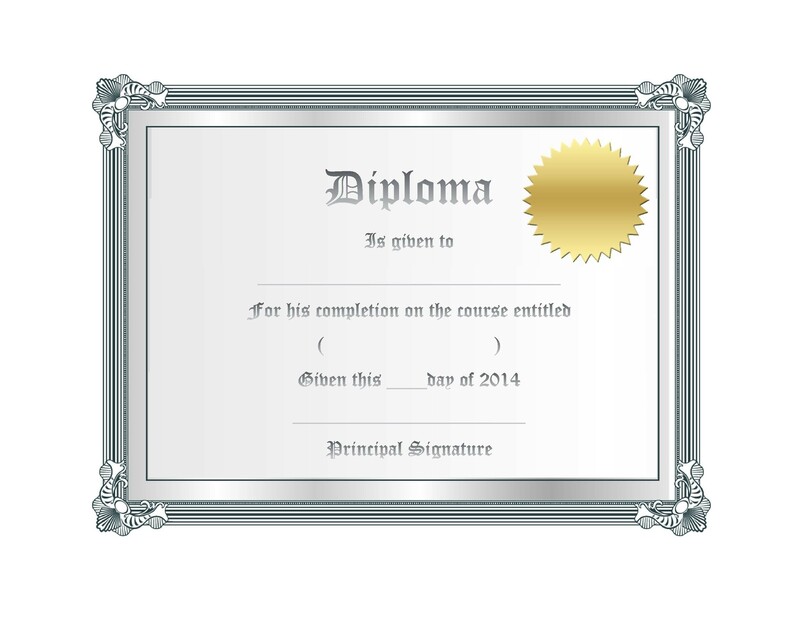 There are also a lot of free diploma templates available online which you can edit to your liking. However, if you are quite proficient with computer software, it would be much better to create your own template and customize it for your own school. College Prep High School Diplomas are given to students who have completed the basic curriculum while maintaining a certain GPA score. Honors College Prep High School Diplomas are given to students who have completed the basic curriculum plus some additional difficult coursework throughout the course. Not only that but they would have also had to maintain a certain high GPA in order to obtain a superior academic level. International Baccalaureate High School Diplomas are given to students who have successfully completed a 2 year international curriculum which have met standards which are set by the International Baccalaureate Organization. The difficult international curriculum is typically completed in the last 2 years of high school in order to qualify for this kind of diploma at the end of the year. Students who have achieved remarkable GPA scores throughout as they completed the whole course would be qualified to receive a diploma with honors or a diploma with distinction. 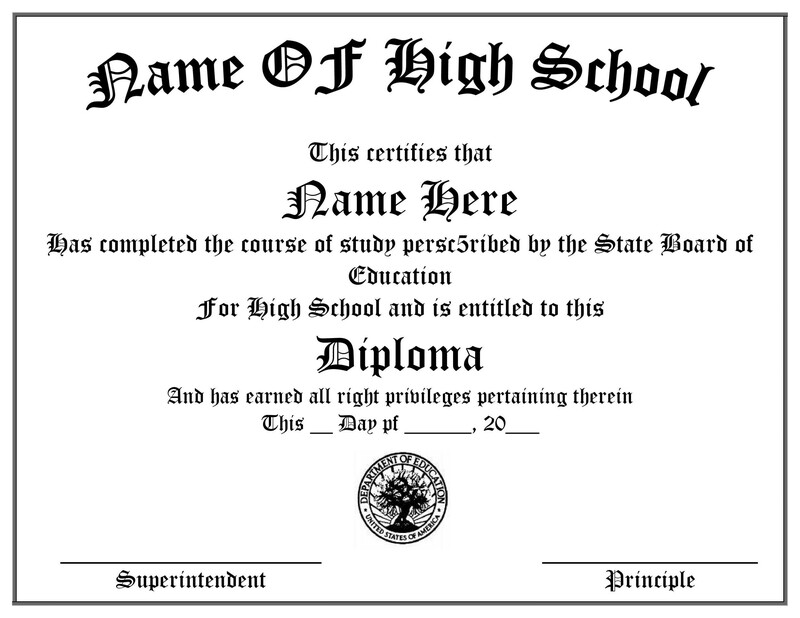 A diploma with state honors would be given to a student who would have obtained a score above all the subject readiness benchmarks which have been set by the state. 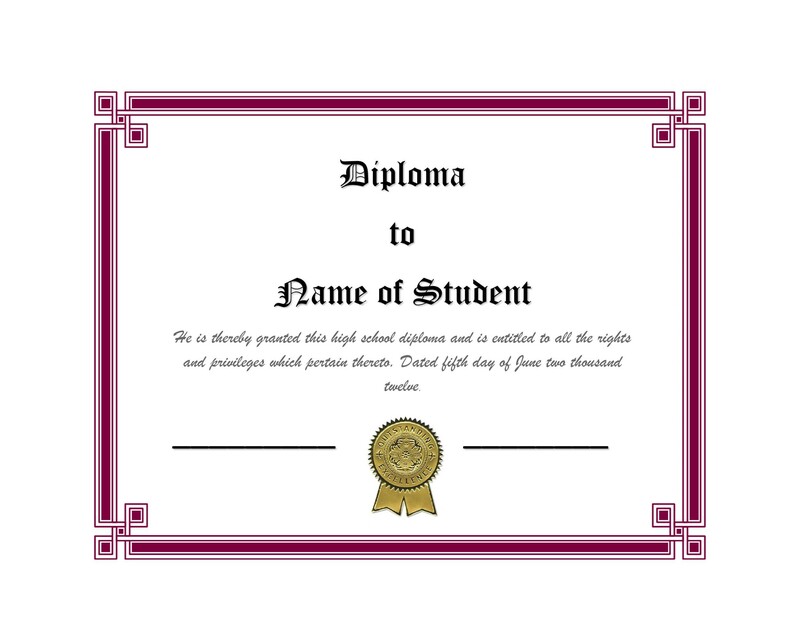 A diploma with state distinction, on the other hand, would be given to a student who would have earned a certification, participated in an event set by the government or special organizations or would have gotten a high GPA at the end of the school year, all as set by the state. Diplomas for special education are usually given to students with disabilities by the end of their fourth year of high school if they had not met all the qualifications for a traditional high school diploma. Either that or they were able to adequately completed an education program which is individualized or they have an adequate record of conduct and attendance. 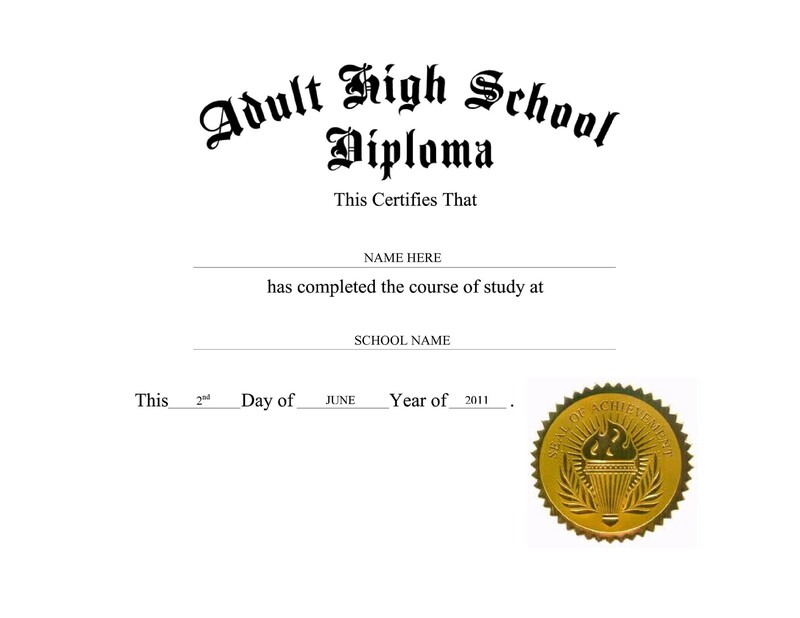 Students who have obtained this type of diploma can still go on with their high school studies if they wish to until they reach a certain age. A diploma for occupation is also given to students with disabilities but for different reasons. If the student has not met the requirements to obtain a high school diploma or has not adequately finished an individualized education program. If the student has an acceptable record for conduct and attendance. If the student has finished 2 years of either paid or unpaid employment experience. 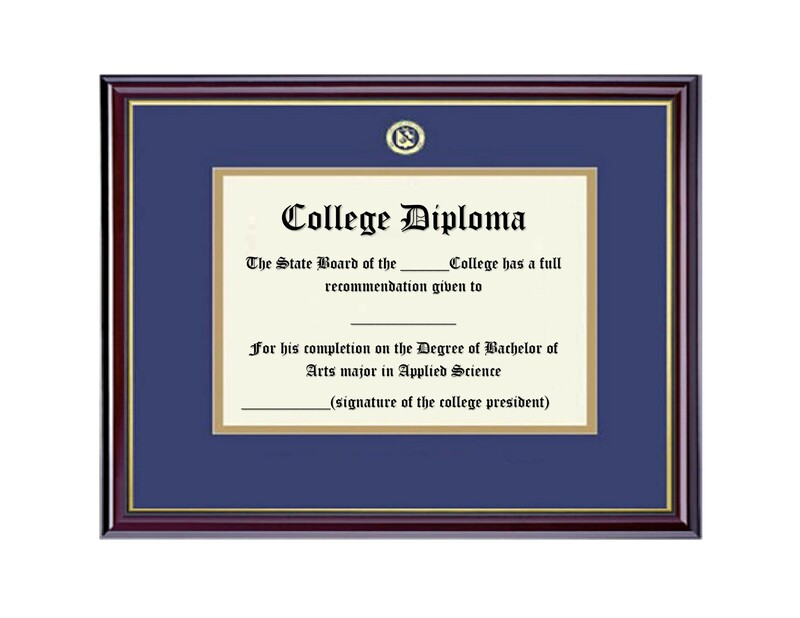 A college diploma is given to a student who has successfully completed a whole course along with the required number of units with a passing grade. Different courses would vary in the number of years and the number of units needed so the student would have to accomplish all with acceptable ratings in order to be able to obtain a college diploma during graduation. 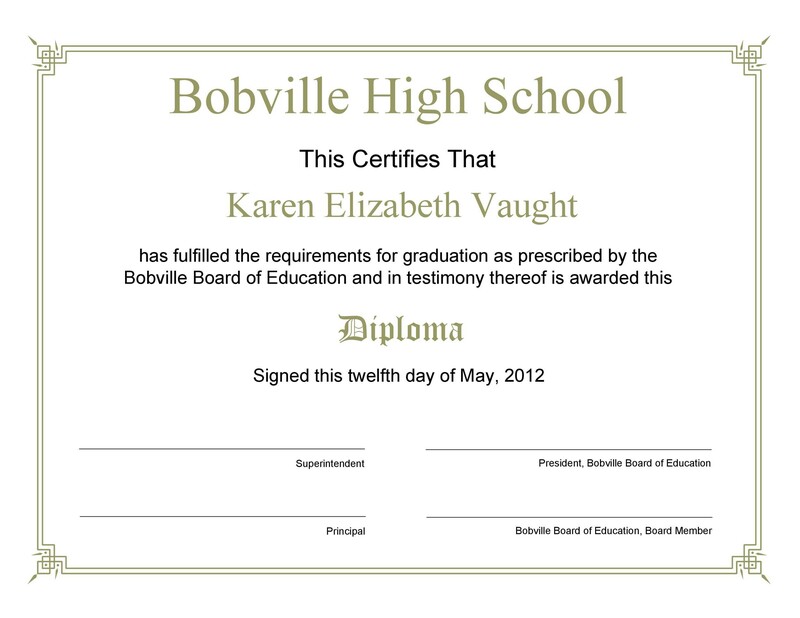 These are the different types of diplomas which can be given to students during graduation. 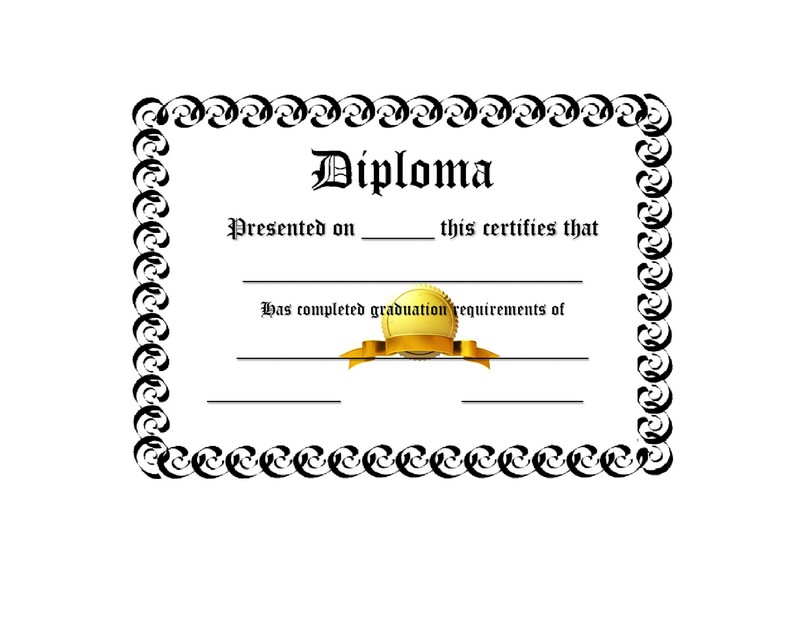 Schools would have to award the diplomas according to the students level and the requirements which they had met at the end of the academic school year. Now let’s move on to the different benefits of getting a diploma or having a diploma on hand. 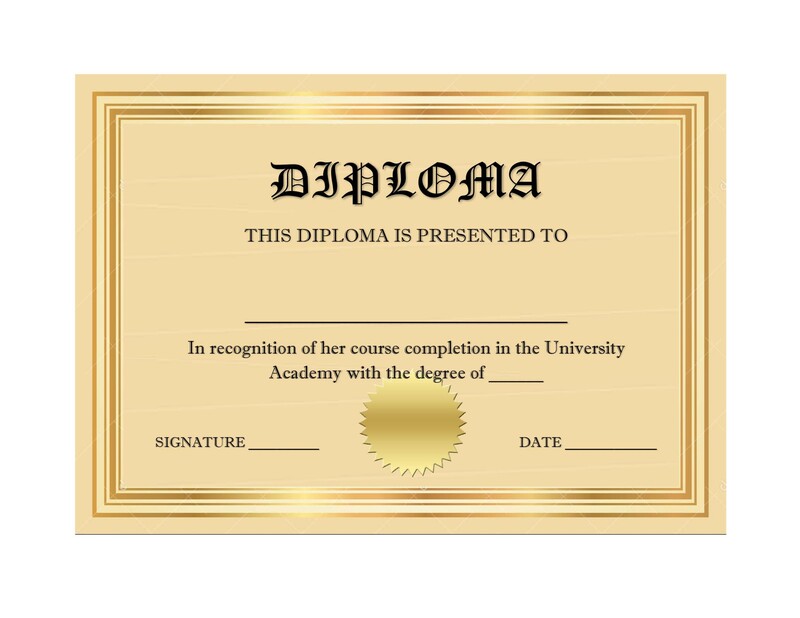 The different types of diplomas would depend on what course of study you had completed. These benefits would all be for your sake so if you’re still on the fence on whether you’d want to finish a whole course, then maybe these will help you out. Nowadays jobs are very difficult to find, especially for those who have no educational achievements. Obtaining a diploma would give you a bigger chance to find a job which would give you more than the minimum in terms of salary. If you’d like more doors to open up for you, getting a diploma may be the most ideal path for you. Whether it’s a high school diploma or a college diploma, getting one would definitely give you an edge over all other applicants vying for the same position. Not only that, having a high school and college diploma as part of your credentials could even give you better opportunities within your current workplace. If you perform well at your job and you have these additional documents to back you up, you’d have a higher chance to get the much wanted and needed promotion. If you’d like to be able to apply for college, you’d have to get a high school diploma first. Without it, you won’t have the most important requirement needed in college application. Once you’ve obtained a college diploma for yourself, then you can go further on and take more advanced post graduate courses. If you’re interested in getting more than one degree or getting a higher education, obtaining a high school diploma would be the first step in doing that. Getting a diploma and having it as an attachment with your resume would give employers a greater tendency to pick you and offer you a higher salary to start with the company. Studies have shown that people who have a high school or college diploma along with the education that had gone with it would have a better chance to find jobs and get further ahead, professionally in the long run. These documents could mean a higher starting salary as well as higher raises whenever the time comes for them. According to research, people who have completed high school or college and have a diploma to show for it have a better chance of finding work and staying in the workplace. When employers are thinking of lessening the manpower in the office, people with some sort of high school and college diploma may not be the first in line to be removed. This is because they would have more knowledge and experience which would help out in their productivity and their work in general. Obtaining a high school or college diploma would give you more opportunities in the long run, not only in terms of employment. There is a greater possibility that you would be living above the poverty line, you’d have opportunities to apply for school, car or even home loans, especially if you are already employed. You’d have enough knowledge and know how to choose the place you’d be living in, like neighborhoods with low crime rates and you’d most likely know not to involve yourself with nefarious or illegal activities too. In reality, studies have shown that a majority of people in prisons are high school dropout who may not have had the opportunity to choose better lives. Having a high school or college diploma would not only give you better job opportunities or opportunities for jobs with higher pay but these jobs would most likely come with additional rewards as well. Incentives such as health and dental insurance would allow you to take care of your physical health. Having a diploma would also make you a good role model for your kids and grandkids in the future. When you learn a lot, you would most likely be more open minded and more inclined to be intrinsically motivated. Once you’ve developed this kind of motivation, you will be able to get ahead in your work and in all the aspects in your life. People who are intrinsically motivated are also more positive and more aggressive, in a good way. Obtaining a diploma would also give you a sense of pride from accomplishing studies. Having a diploma is truly beneficial. 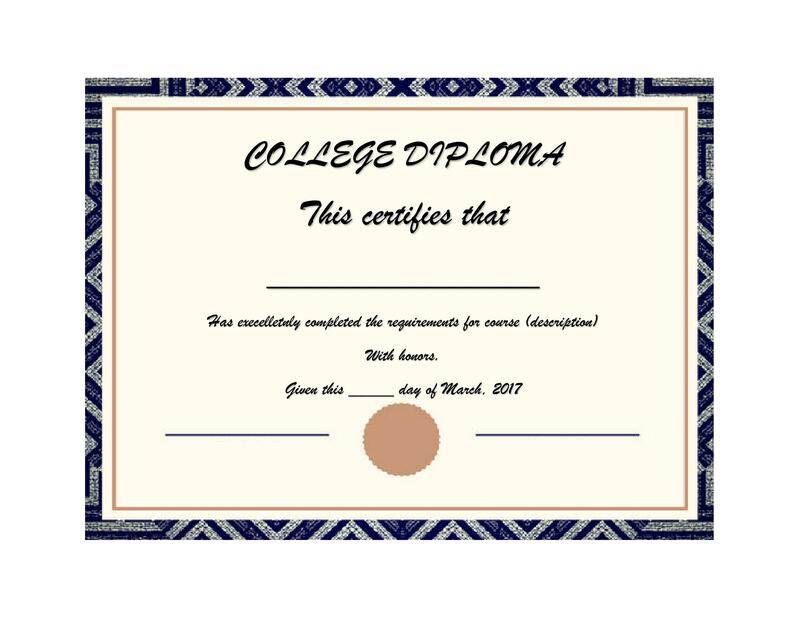 So now that you have a lot of information about diplomas, let’s move on to actually making your own template. 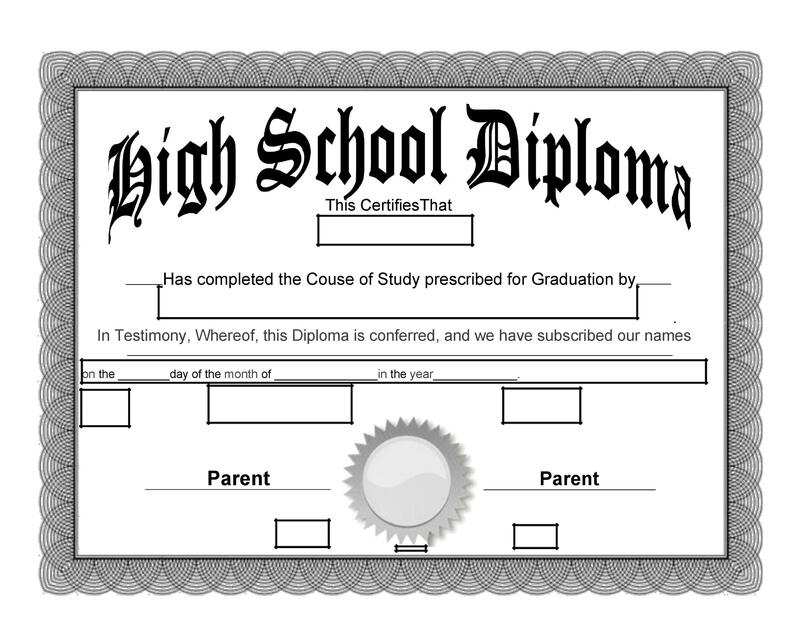 Now that you’ve learned more about diplomas and their benefits, let’s discuss how you would actually go about making your own high school diploma template or college diploma template. In making templates, you have 2 options – you can either download or work with a free diploma template from the many online resources or you can make your own from scratch. If you are choosing the latter, here are some steps and tips to help you successfully create your own template. Open the software of your choice and set your paper size, margins and font style and font size. 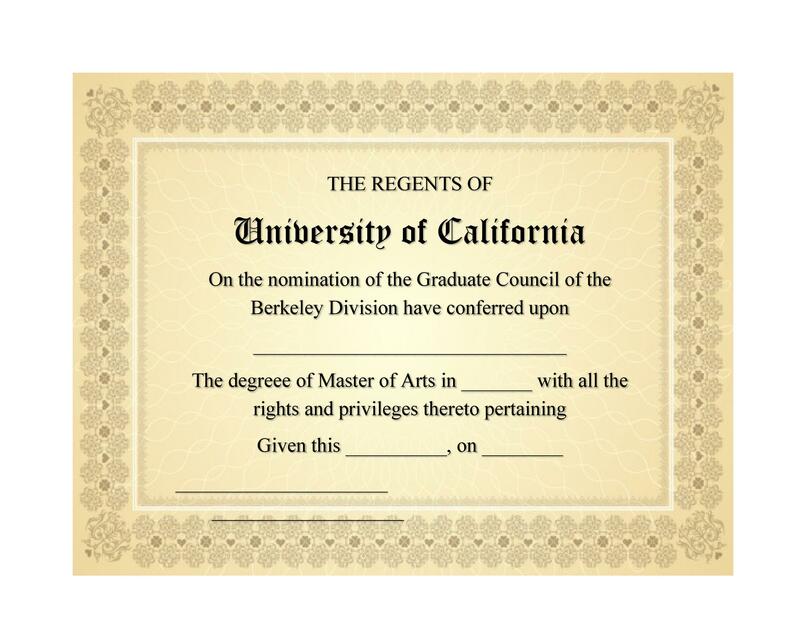 Usually, 1 inch margins are set all around the page and you would probably have to use different fonts for the different sections of the diploma. 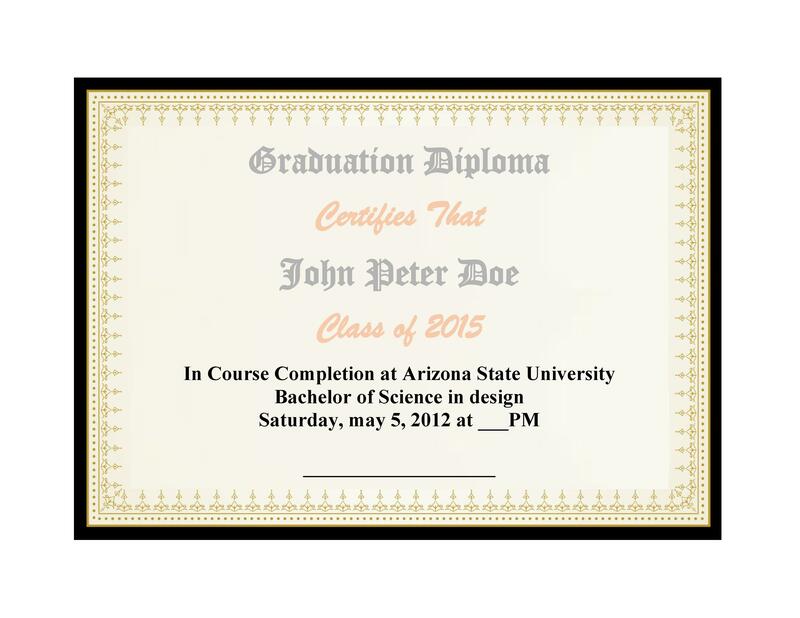 Diplomas often look official so you would not have to add in too many graphics. 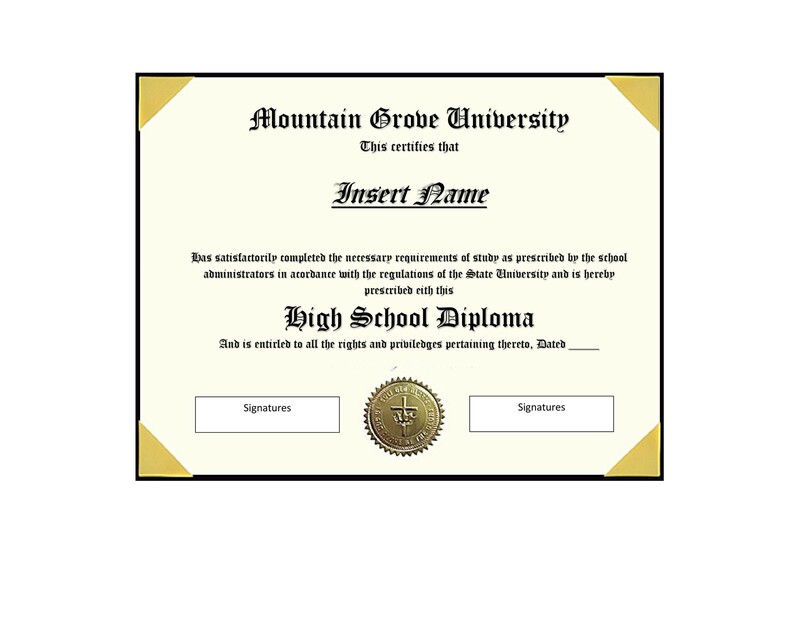 What you can do is add your school’s logo to make it official and to make it difficult for others to make a fake diploma template of your school. Find appropriate borders online and paste them on your page. Size the border so that it perfectly frames your whole page. This would make it look better when it is printed out. 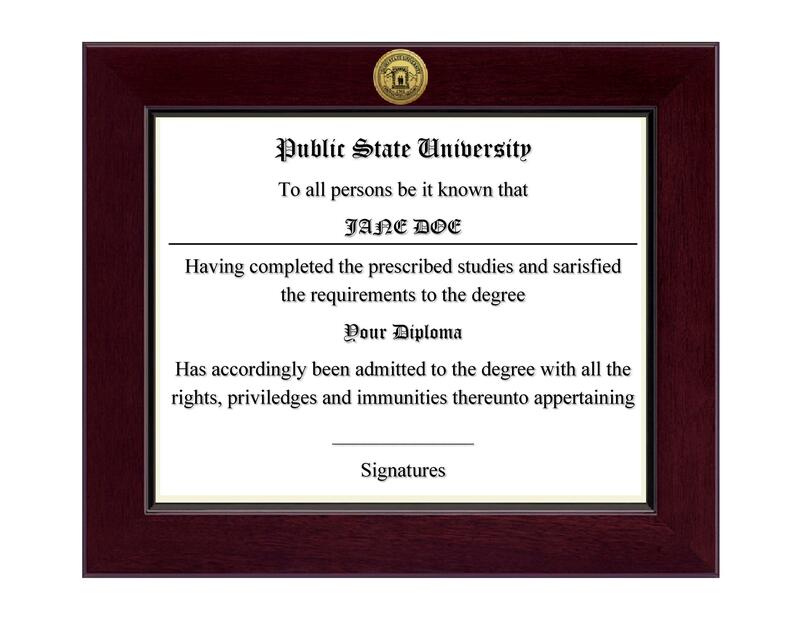 When your border is set and you are satisfied with the size of the logo you had placed, you can add in the title of your diploma, which is typically the name of the school. You can choose a more calligraphic font for this to make it look traditional and official. 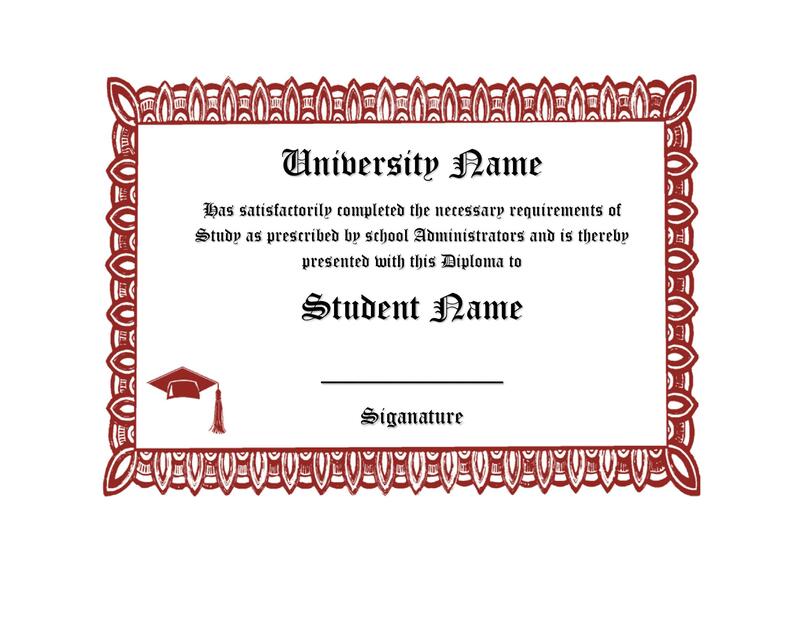 Under that, you can type in wordings like “This certifies that” or other wordings which you think would be better suited for your institution. Then comes the name of the recipient. Be sure that when you input this information, you have the correct spelling of the name of the student so you won’t have to change it. 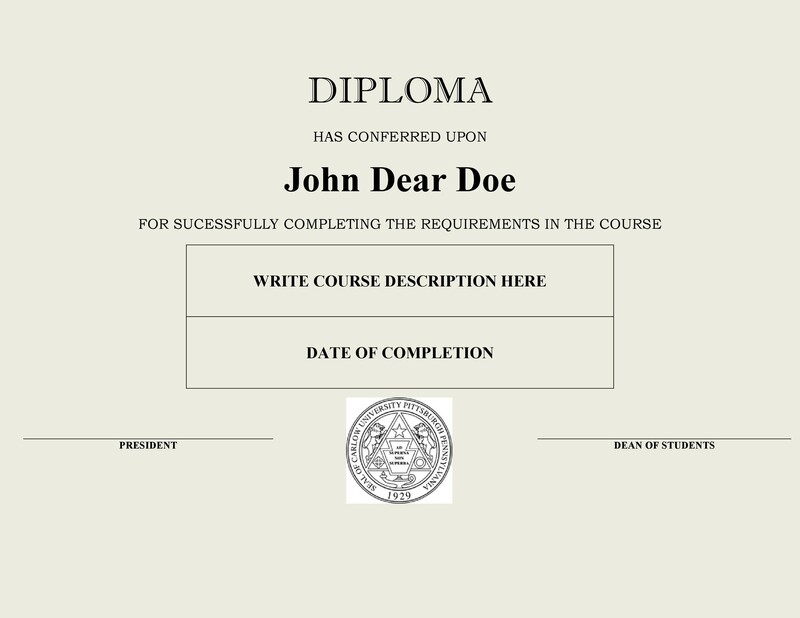 Then add in more wordings describing the diploma such as “has successfully completed the high school / college course as set by the Board of Education and is entitled to this…” You would have to think of wordings which would be easily understood and which would convey the message you would like to get across. 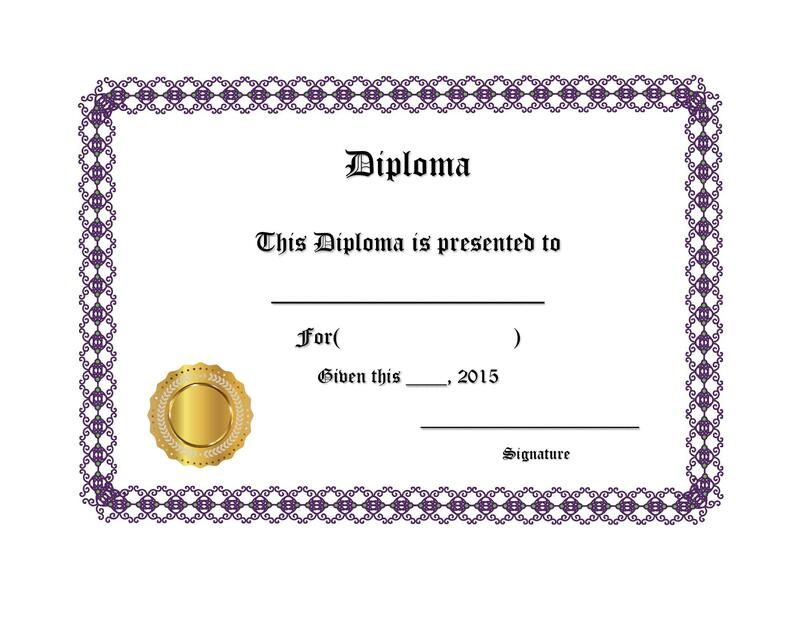 Under that you can write the word “Diploma” using a bigger font size as the other wordings. Then you can add in the venue of the graduation as well as the date of the ceremony wherein the diploma will be awarded to the student. Finally, place a space for at least 2 authorized people to sign – usually the principal and the director. You can also add in other signatories, just be sure to type in their name and title so that all they would have to do is affix their signature. There you have it. Simple, isn’t it? Probably the most challenging part of making your own template is coming up with the wordings for it, especially if you plan to use just one diploma template every year. To help you out further, let’s take a look at some helpful tips for making your own diploma template. 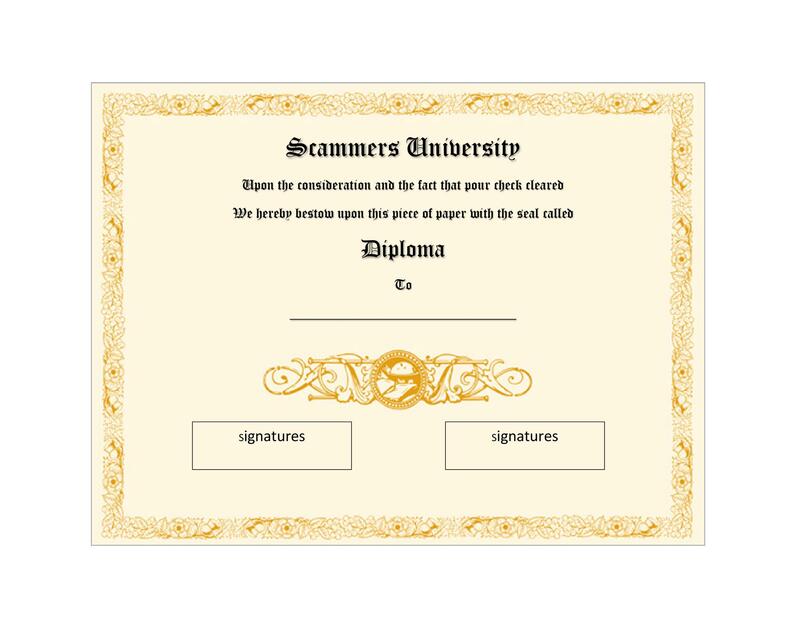 Diplomas are official documents given by schools so when you make one, you would have to be sure that other institutions or other people won’t be able to create a fake diploma template which looks just like a diploma template which has been made in your school. 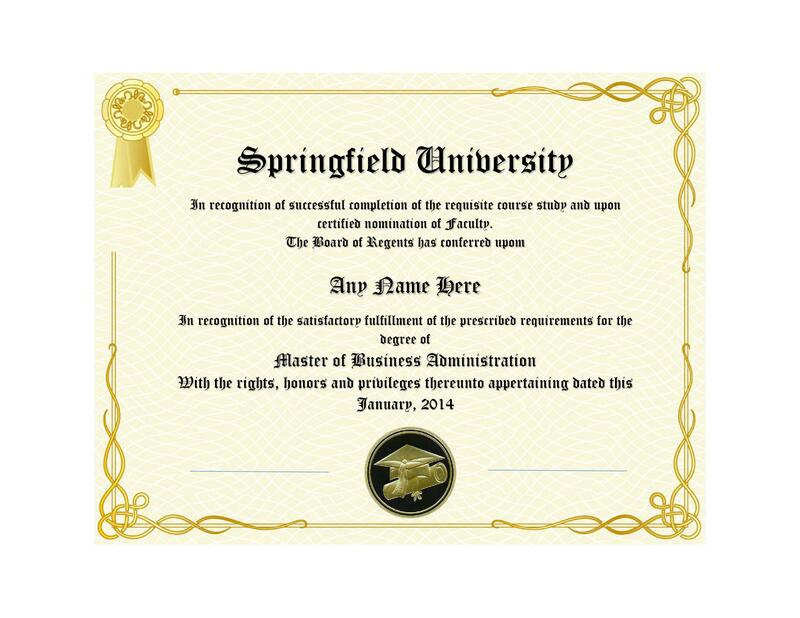 Diplomas are usually printed out on specialty paper, which also happens to be in a bigger size than regular paper. You’d have to search for possible suppliers for your diploma paper which would be able to supply you with enough quantities when you need it. Usually some kind of parchment paper is used for diplomas and you can either go with that or find other papers which would be even harder to find, thus more challenging to duplicate. 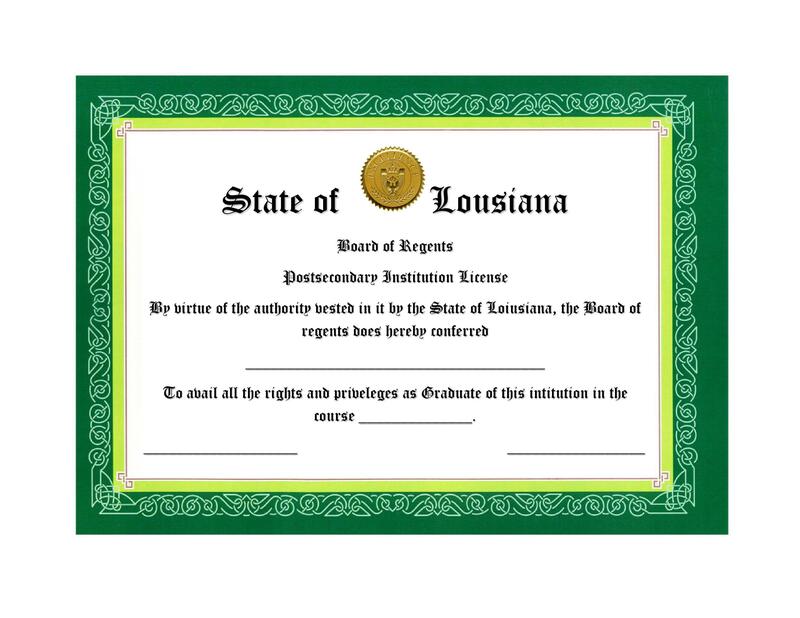 As previously stated, diplomas are official documents so you should avoid adding in too many graphics or images. Typically, one graphic or image which represents the school would be enough for a diploma. Also, make sure that the image you place has a high resolution so it looks good on the diploma. 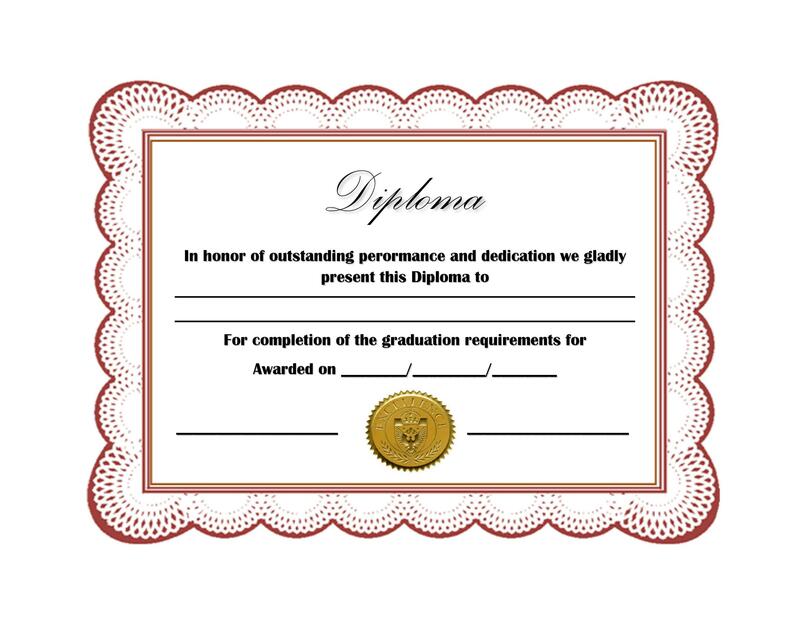 Diplomas would require more than one font styles to emphasize and differentiate the different sections and the different content. Usually, calligraphic fonts are used for titles and headings while more basic, readable fonts are used for the other content. 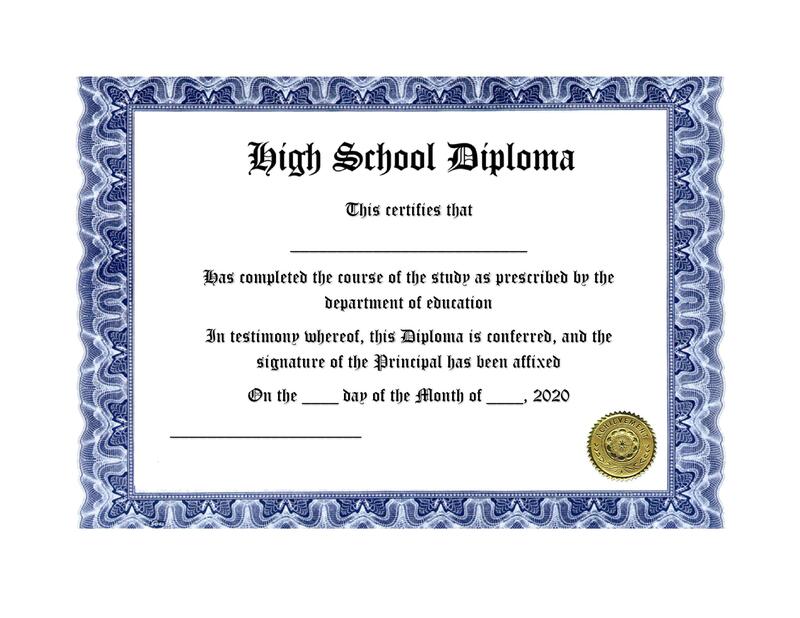 Since diplomas would be printed on specialty paper, you would also have to consider what kind of ink you would use to print on that paper. 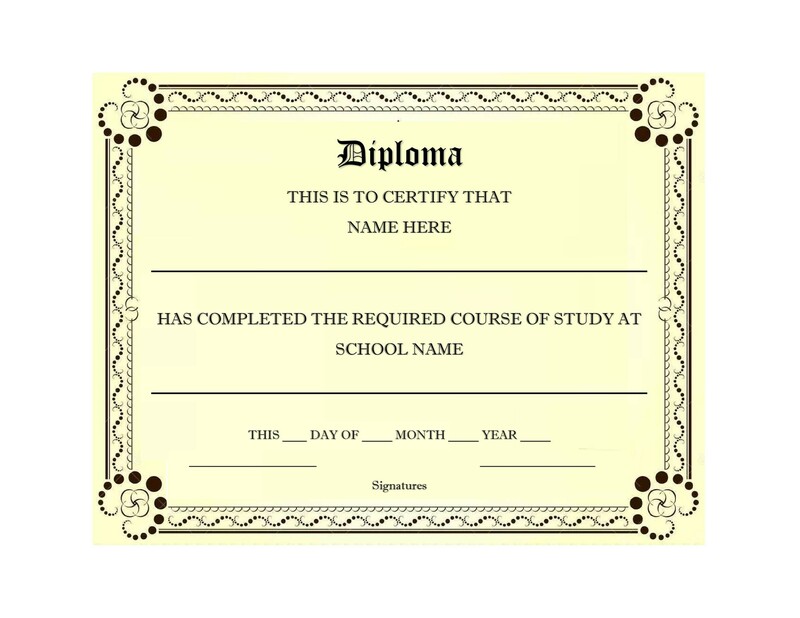 You can choose to use a special printer for your diploma or have them printed at printing companies or if you have more time, you could print the names of the students by hand. This takes a lot more time and effort but would also yield better and more beautiful results. The most important parts of diplomas would be the signatures of the people in authority and the dry seal of the school. Having these would ensure that your diploma would be very difficult, if not impossible to copy. In considering all these factors when making your template, the final result would be very official and well-made not only that, you won’t have to worry about other copying it and making a fake diploma template with your school’s logo and following the format.